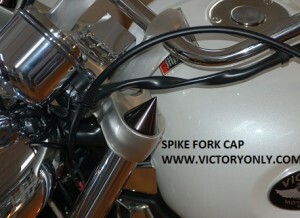 THIS SPIKE GRIP SET WILL MATCH ALL MY OTHER SPIKE ITEMS SUCH AS FORK SPIKES, PEGS, AXLE CAPS AND MORE. 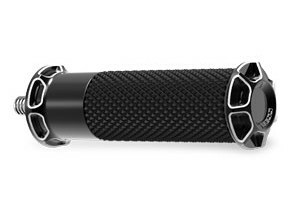 MAKE A STATEMENT WITH THESE 8BALL BLACKED OUR FLAT BLACK SPIKE END GRIPS FOR VICTORY MOTORCYCLES. 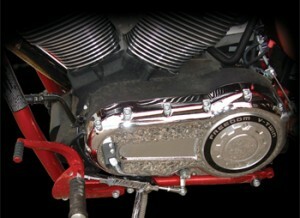 7 1/2 inches of Billet Chrome Aluminum…. 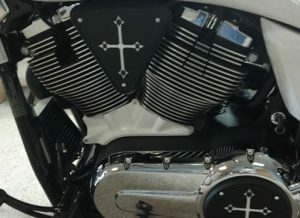 These Custom grips and pegs are one solid piece of aluminum and make ordinary bikes stand out in the crowd! Our Billet Aluminum grips are made on a state of the art 5 axis CNC machine center to give you precision & accuracy you have come to expect from Victory Only Products. Choose from many of our styles and make your Victory look custom! 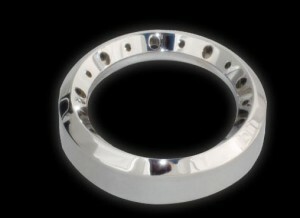 Check out our matching foot pegs and axle caps to complete your look! All grips and pegs are sold in a set of 2. This is the best value we have offered yet. Other online stores are selling for $139.95 and we wont be undersold . 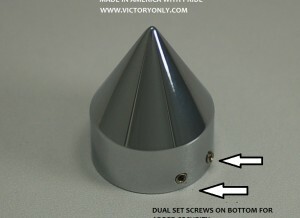 This is the highest quality Victory Products on the market. If you like these you will love our forward controls. 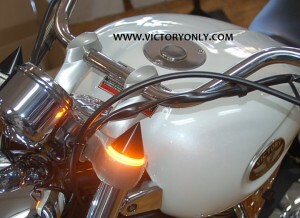 These grips will make your bike stand out like never before. They offer superior styling and great grip and control. 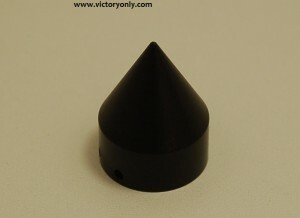 NOTE: MATCHING FLAT MATTE BLACK FOOT PEGS ARE ALSO IN STOCK WILL FIT FRONT AND PASSENGER PEGS. GET A FULL SET OF 3 TO COMPLETE THE LOOK.